What kind of power are you packing? Mahle PowerPak Plus piston and ring kits posses the attributes that you seek for the competitive edge that you want. Built from forged aluminum, these PowerPak pistons are hand-deburred and phosphate coated and then given Mahle's proprietary Grafal anti-friction coating. These lightweight kits also include low-drag slipper skirts, CNC-machined pin bores, machined ultra-flat ring grooves, and Mahle low-drag rings. These power-packed, race-proven packages provide you with unmatched consistency and performance. What separates you from the competition? 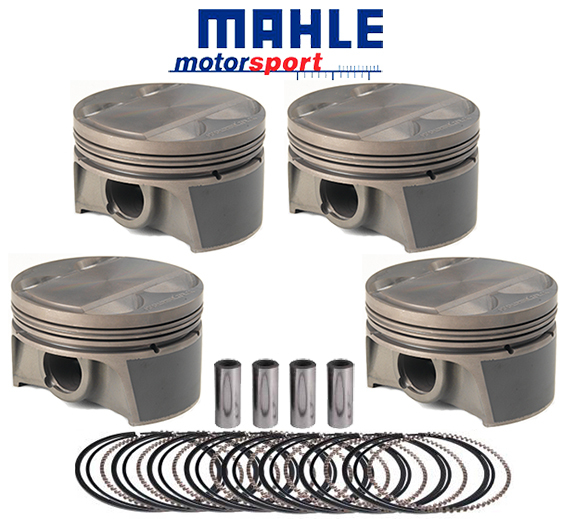 It's the fact that you've chosen the power of Mahle PowerPak Plus piston and ring kits. The Pumaspeed Workshop team are ready to fit the 2.3 Ecoboost Mahle Forged Pistons in our Head Office located here. We estimate the labour time to be approximately 20.00 hour(s) costing £1,560.00 inc VAT. Therefore making parts and labour a total cost £2,173.00 (inc. VAT). Pumaspeed have a specialist distribution team that can dispatch the 2.3 Ecoboost Mahle Forged Pistons to any destination worldwide.